Pros: Our team is tech proficient enough to be dangerous and perhaps high maintenance at times. Support team is super responsive and patient with our inquiries. Cons: Lacks function to create job templates - each post is created from scratch via browser or can be uploaded via CSV/Excel file. 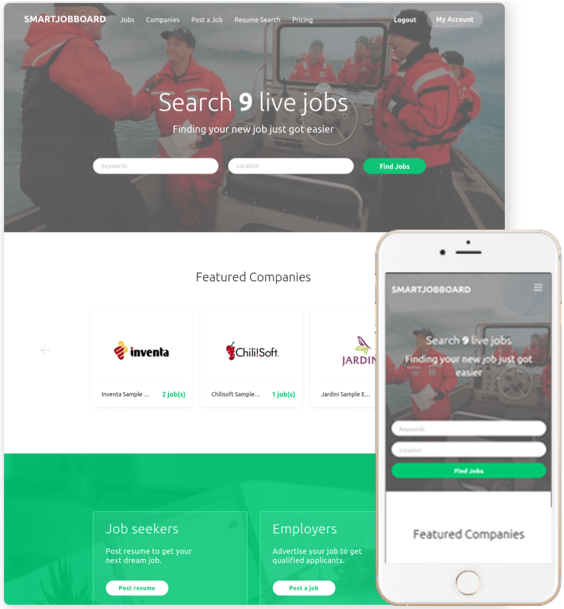 Overall: Most importantly: Job seekers visiting our site powered by SmartJobBoard.com consistently tell us they like how easy it is to navigate and perform searches. We tried several other solutions prior to implementing SmartJobBoard and found this optino to be the simplest to get up and running with easy to use admin and posting tools. SmartJobBoard is available at various price points which has allowed us to grow into the product which is an ancilary solution to our core business offerings. Recommendations to other buyers: Each company or platform has unique needs - My best advice is to register for the free trial and play around with the posting tools. 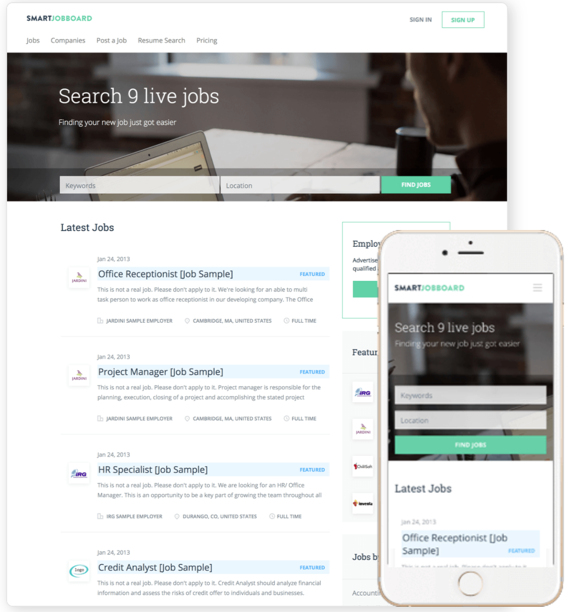 It's very intuitive - a job board with SJB can literally be up in minutes. Pros: Great platform to start with and is easily customized. Cons: Will have not run into any problems to report. Comments: there are plenty of job board software prooducts out there. But what makes SJB difference is not just the product that they keep improving, but the super after care that they offer. The are dedicated to make the clients aspirations come true. Accidentally deleted a few templates that caused my site to crash but when i realised and pointed that out to them, the fixed it within 15 min. It was 10:30 at night there time... Kudos to SJB team. Pros: Very easy to create new resume fields, layouts, and customization. Very good "My account" for users. Many of the features cannot be found on my competitor's sites so the site is technically superior from day one. Cons: Putting the site into two languages has been a bit of a challenge. The function allowing job seekers / employers to see the resume/job listing as a pdf is very poor. I hid that function until I can fix it. Setting up additional payment gateways (I am in Japan) was a bit of a pain. Overall: I had used this to make a Japan-based job board. The site has been fairly straight forward and full of features....maybe too many features. The support staff and sales (customization requests) has been much better than expected. I feel as though they are part of my team. Recommendations to other buyers: This is not a WordPress based site so it takes a bit of getting used to. You'll also need some customization work done or the site does look a bit state. My experience has been completely positive. Pros: Easy to use, looks great, works very well. We have used a number of different platforms and this is by far the best. Cons: In the latest version there are fewer advanced employer features. Does not have a robust Applicant Tracking function, however it would be excellent for most users. Overall: having used other jobs board software i was really pleased to find my smart jobs board. This is great for start ups - being very cost effective and allowing you to upgrade your functions as your business grows. The customer support you receive is amazing and the best I have ever experienced with any provider. Its easy to use for both admin and recruiters. Pros: The ease of use , exceptional Customer support and matured product. Pros: This software helped us to enhance the ease-of-use of our job board for both staff and users. The templates are easy to use and fairly customizable. And, there are a number of great bells and whistles to boot. The best part is that it's priced reasonably. Cons: I would like to see better reporting functionality, and a bit more ability to make changes on the admin side. Overall: Overall, I'm super happy with SmartJobBoard. It really gets the job done and when we run into bumps, the customer service has been great. THe SJB team is responsive and also just kind. Pros: Loved that this product was all-inclusive. No need for additional products other than a domain name and email. I set up Stripe for payments, filled out the details, and could move on to sales and service within a day. Cons: The price is far more than a blog or Wordpress plug-in. The deciding factor is whether your job board will be profitable enough to justify the costs. I've taken the chance and am enjoying the time saved on maintenance so far to focus on running my business. Cons: Any additional SEO help is also appreciated as well. Overall: I was concerned about customer service. That is very important to me as I am not a techie I also thought that it might not be as functional as I needed it to be. After reviewing many job board software capabilities, I selected Smartjobboard based on its easy to use interface. 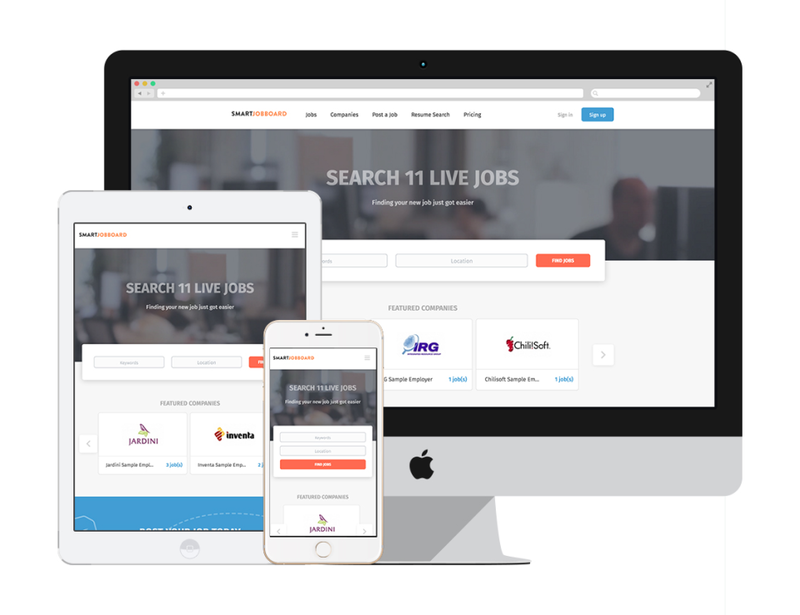 It makes posting jobs and viewing jobs very easy. Recommendations to other buyers: I just also want to say that my experience with the team there has been exceptional. I hope they continue to improve and compete with the technology of the big guys like Indeed and Careerbuilder. Overall: Great design, easy to use, continued improvements. After spending countless hours a day, for weeks, searching, I could not find another product offering that came close. The scalable option has allowed me to get visibility while continuing to improve my model and solicit quality partnerships with industry leading companies. I've received countless compliments on its appearance, made possible by an incredibly easy interface. Pros: Customisation (fields etc, front end) and external integrations (APIs, Indeed etc) . The administration and backend is intuitive and it is easy to use. Cons: Better integration with LinkedIn. Log in only records the Job Seekers email. Integration with a CRM such as HubSpot. 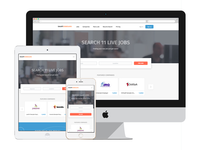 Overall: Easily launch a job board for our community without having to build one ourselves. It's a niche little SAAS product for our needs. A great value for small businesses. Pros: This is a very easy platform to administer and to use. The options are great and the value is tremendous. Plus, I've received great customer service with short response times. Cons: It could be just a touch more flexible, but that could be solved by hosting on your own server. Plus, the design team is great about helping find ways to solve problems. Cons: With the Tech team based out of India its is a real mess. The tech team has no idea what they are doing. Huge liability as menu items and features get changes mysteriously with only the tech-support having full access. Overall: Huge problem on tech support and feature development. Tech team lacks basic understanding and messes with your custom features when they want. Pros: Very clean and easy to use. The layouts to choose from look very professional and are easy to modify/customize. Cons: To date we have not landed any new clients. I am not sure how to improve our internet ranking with google or Bing. Comments: Smart Job board was a great software to use. It allowed me to manage my trades job boards pretty easily without much programming knowledge. There were very few spots where i couldnt figure out how to work the software and id have to contact support. This would be my only cause for concern. There would be times where i would ask a question and it would be a few days before i would receive a response. Other than that small issue I think the software is great for those who want a simple yet strong job board software option. Cons: I just don't like the options for the way the site looks. Limited fonts and color schemes. Limited overall page view sett up. Overall: I have found this product to be very useful, and I'm thankful for everything so far. It's easy to use and best of all you get a lot for not a lot of money. I would like to see more features and just an update to options for overall appearances. But thanks for making it easy on a first time site builder. We appreciate you. Comments: We at www.jobopenings.co.ug are really happy with the Smart Job Board SAAS product.We were able to get started in a few days despite not being that tech savvy.The customer service/support is great and on time.We have never regretted choosing smart job board as our tech providers. So far I'm pleased with the application. Pros: Easy to use turn key solution. Responsive interface. Payment intergration with pay pal. Integration with linked in. Cons: Not enough reporting features. No ability to edit all pages i.e. the access denied pages. Ability to modify how latest jobs are ordered. Lack of features to help market your board to the public. Pros: I like the turn-key nature of the software. Easy to set-up and start taking orders. I like the back-fill feature. Cons: On the employer's management page, I would like to be able to search job postings by title and location so they can be easily found to update or delete. I am not seeing our job posts on the new Google jobs widget on Google.com. 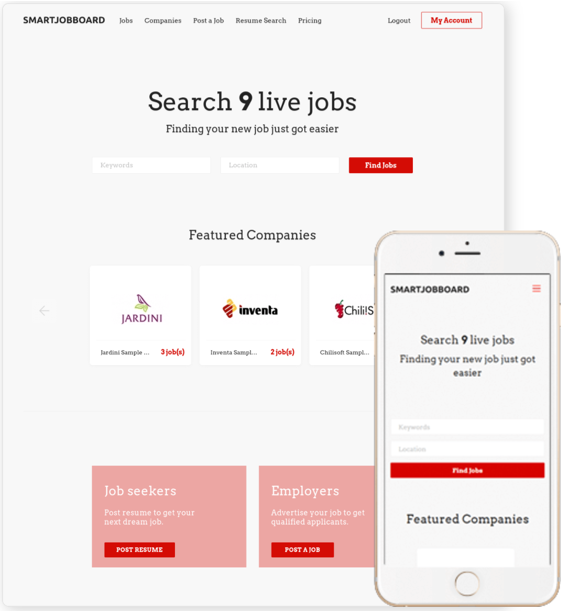 Comments: SmartJobBoard is a great application for a start-up company. Easy to use and customer support has been phenomenal. Although there are a couple of minor features missing, it was good to hear they are on the product's roadmap. Comments: We have implemented this software to create our own dedicated recruitment website. It was easily modified to suit our need and the customer support has been exceptional. Comments: A happy customer who receives very responsive support from the great team. A platform that is user-friendly and yet pack of wonderful features. Comments: Smartjobboard is very easy to use, and the team are very helpful and responsive. I will definitely recommend them. Comments: I really like SmartJobBoard. Awesome templates, powerful features, open source. Great support. Pretty good software, Multiple options to monetize your jobboard, Very flexible customer support. Comments: Their new SaaS option looks very cool and so easy to use. Pros: I love the look of this software. Clean, up to date, and easy on the eyes. It features nice functionality in the sense of what you are trying to achieve in the search. Cons: It does expand across many spectrum, although it does what it is meant to... that is about it. Overall: Enjoy using this software, and will continue to use moving forward!